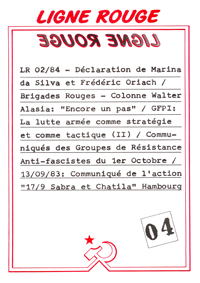 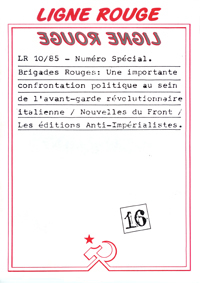 Ligne Rouge was a Marxist-Leninist journal which published nineteen issues in Belgium between 1983 and 1986. 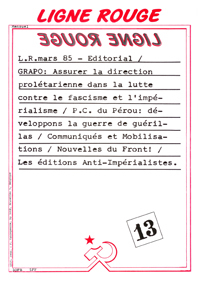 It was the successor of a similar periodical entitled Subversion which published a total of three issues between 1981 and 1983 and included French Marxist-Leninist militant Frédéric Oriach on its editorial committee. 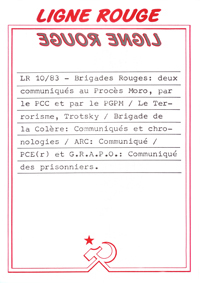 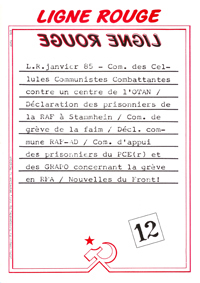 Some of the militants involved in editing Ligne Rouge were later arrested for their participation in the armed propaganda actions of the Communist Combatant Cells. 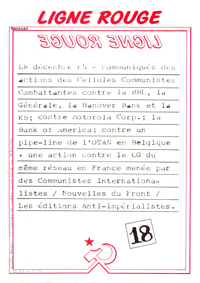 The journal consisted of a combination of contemporary statements from armed communist organizations around the world with extracts from Marxist classics, topical news clippings and the occasional editorial. 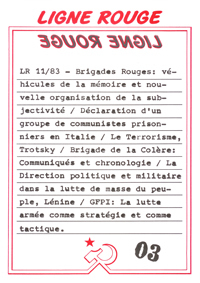 “Ligne Rouge is a militant, anti-imperialist publishing project. 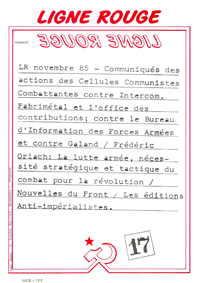 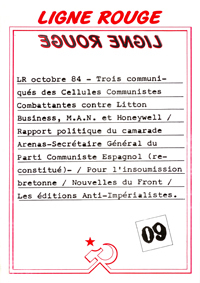 The collective leading the activities of Ligne Rouge publishing restricts the activity of Ligne Rouge to the publication and distribution on a wide scale of documentary collections of anti-imperialist offensive which it considers to be of real interest to the revolutionary communist movement. 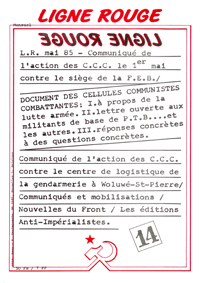 If the choice of documents is partisan to the extent that the political identity of the militants leading Ligne Rouge determines what we consider useful, it is nonetheless possible that texts will be published which certain members or the entire collective are in political disagreement with, Ligne Rouge is not the expression of an organization, but a information organ, a reflection of the struggle open to all. 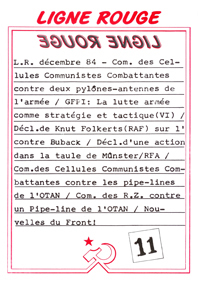 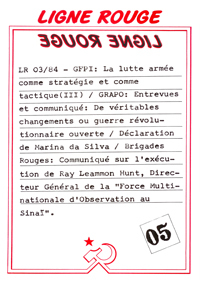 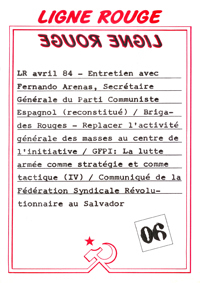 These documents (texts, interviews, communiques) made available by Ligne Rouge, cover the multiple realities of anti-imperialist struggle, they come from different political positions, several historical periods and various continents and countries. 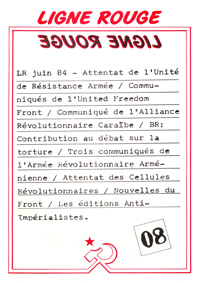 Breaking with the blackout targeting certain facets-and not the least important ones-of the anti-imperialist struggle, breaking the timid refuge of censorship and self censorship, extracting these texts from the jealous hands of insider circles and their sterile militant monopolies, digging into the past of the revolutionary movement in order to calmly compare hastily forgotten experiences with our situation, in short, grasping our revolutionary heritage-past and present-out of the silence and bringing it into broad daylight and affirming it as a weapon for the future. 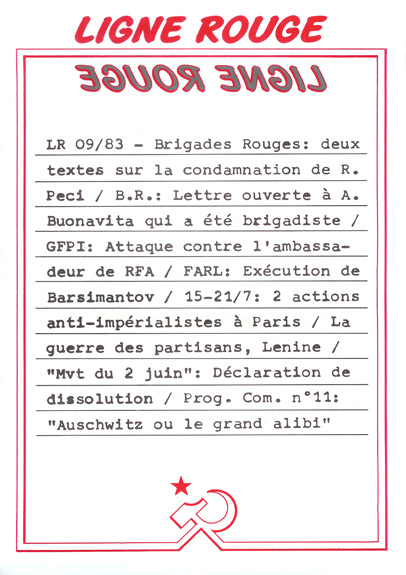 This is the task Ligne Rouge has set itself with its first project: the monthly journal of Ligne Rouge publishing. 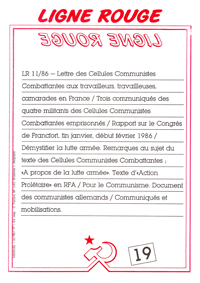 These journals will present several documents selected from different sources, in order to break the false separation of sects and create hopefully productive confrontations between old and new texts, documents coming from the imperialist centers and the national liberation movements etc. 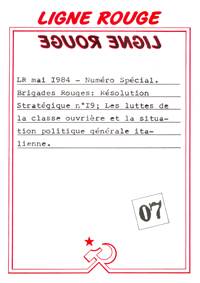 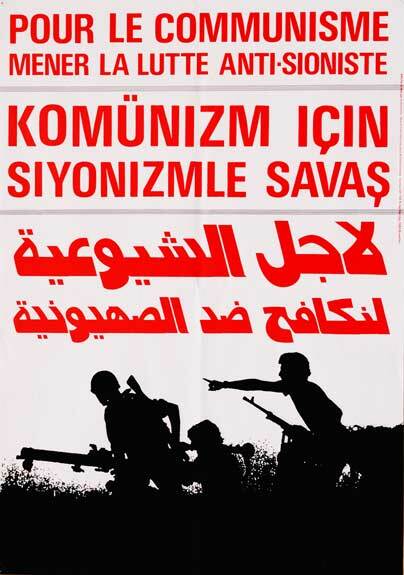 Red Brigades: Strategic resolution no.19. 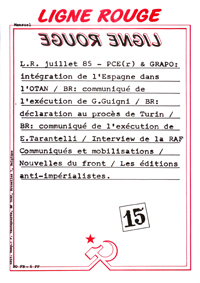 The struggles of the working class and the general political situation in Italy.